The Read & Bloom line offers high interest, character driven stories for newly independent readers that feature full-color illustrations throughout and will transition kids from leveled readers to a lifetime of reading. 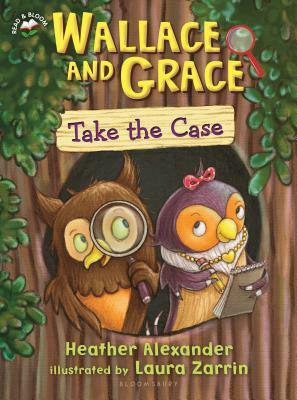 In this charming series, perfect for newly independent readers, kids will be treated to simple whodunit mysteries as an utterly delightful owl duo put their heads together. In their first adventure, Wallace and Grace meet a rabbit who is sure he saw a ghost! But the clues lead them in a different direction. Something is spooking the garden . . . can Wallace and Grace solve this case?